All dentists will recommend that you brush your teeth at least twice a day, in addition to flossing once daily. 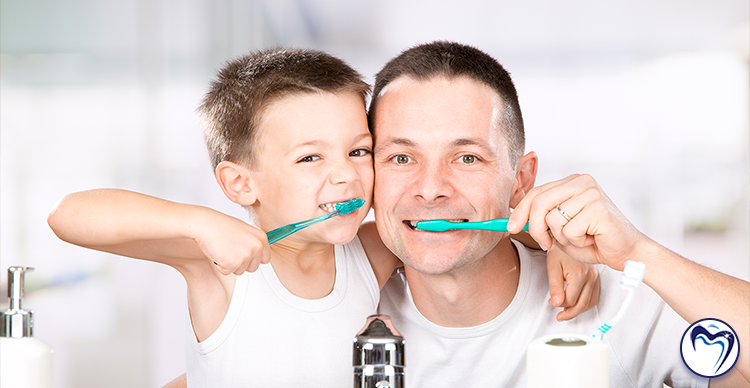 And, sure, you may have developed great habits for brushing since you were a kid. But, believe it or not, there is a right and a wrong way to brush your teeth. We’ve got some tips for keeping your smile clean and healthy. Here are the do’s and don’ts of brushing teeth. Fluoride is a naturally occurring element. It has been proven that it prevents and even reverses tooth decay. Make sure your toothbrush is the appropriate size. Also, choose a brush with soft bristles. If the bristles are too hard you may cause damage to your gums. Consider brushing for 30 seconds for each quadrant of your mouth. For children and teens, set a timer. Better yet, have them brush along to a favorite song. At the very least replace your toothbrush at least every three months. However, replace it sooner if the bristles show wear. Get a new brush if you are sick. Germs can live on the brush, which can lead to reinfection. Sticky, sweet, sugary treats can wreak havoc on your teeth. Try to brush after consuming. If you can’t, try rinsing your mouth with mouthwash or water. This will help wash away residual sugars and dilute acids produced by decay-forming bacteria. Here are a list of snacks that promote good dental health. Never. Ever. With anyone. Not even family member. Doing so could transfer germs and gum disease via moist brushes. Children 2-yrs old, and under, should not ingest toothpaste. Always supervise small children while teaching them good dental habits. Consider that kids need assistance with brushing until they can tie their own shoelaces. Here is a guide to help you raise a healthy smile. Brush or use a tongue scraper at least once a day. Bacteria can reside on the tongue and is largely responsible for bad breath. Brushing reduces the bacteria and controls halitosis. You can waste up to 10 gallons of water if your brush for 2 minutes with the tap running! Conserve water. Fill a cup and use it for swishing and rinsing your toothbrush. You can cause more harm than good if you use a hard bristled brush. Tooth enamel erosion and a receding gum line can be caused by bristles that are too hard. Brushing harder does not mean that your teeth will be cleaner. Think of brushing your teeth as a polishing procedure. Use gentle circular motions that cover the whole tooth surface to the gum line. Never brush back and forth. Professional cleanings and exams are the best way to avoid painful and costly dental problems in the future. Make sure to schedule bi-annual appointments for the entire family! With insurance prices rising and out of pocket expenses for patients become increasingly un-affordable, Denise Dental Studio provides their patients with the Smiles Club program. An affordable plan to ensure optimal oral health. The friendly and knowledgeable staff at the Denise Dental Studio is here to answer any questions about your family’s dental health. Our goal is providing the very best care!